After almost a week of museums and touristy sights, we decided to take it a easier on our seventh day in France. 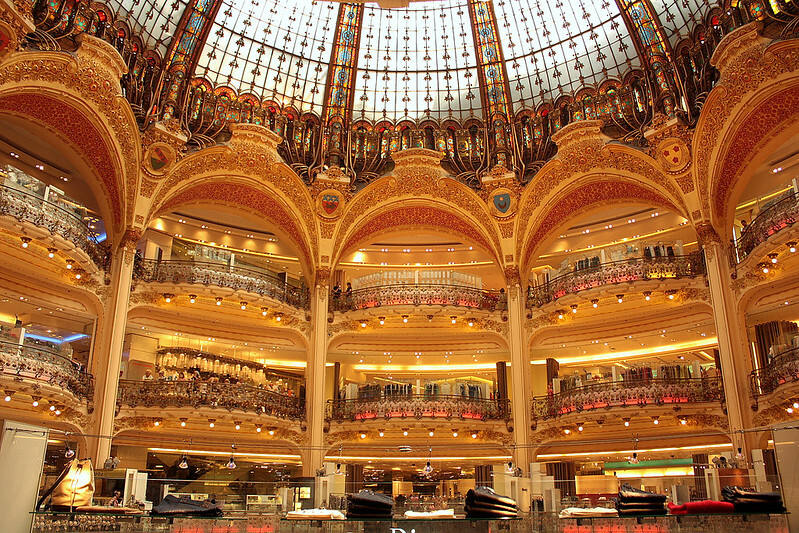 We spent the morning at Forum des Halles, which is a shopping centre near our rented apartment. 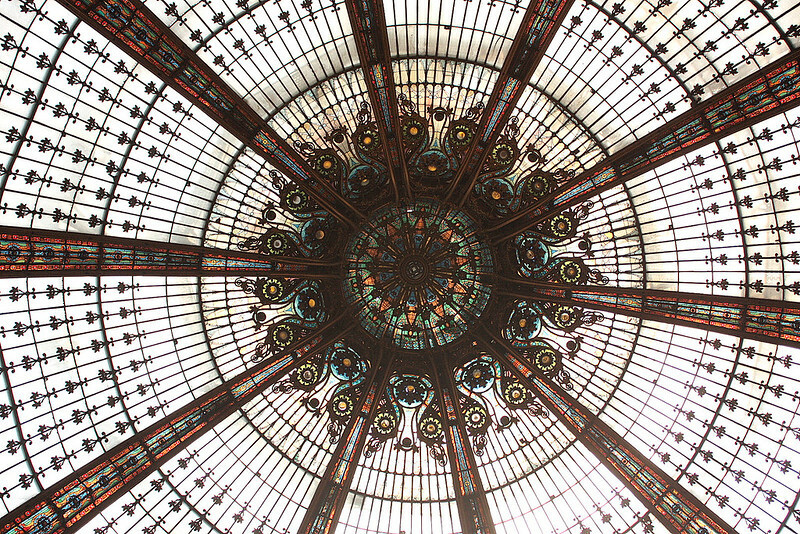 The Les Halles area used to be the belly of Paris, the central marketplace– and it had been so for centuries, until the congestion had become so bad that they had to relocate the market elsewhere. 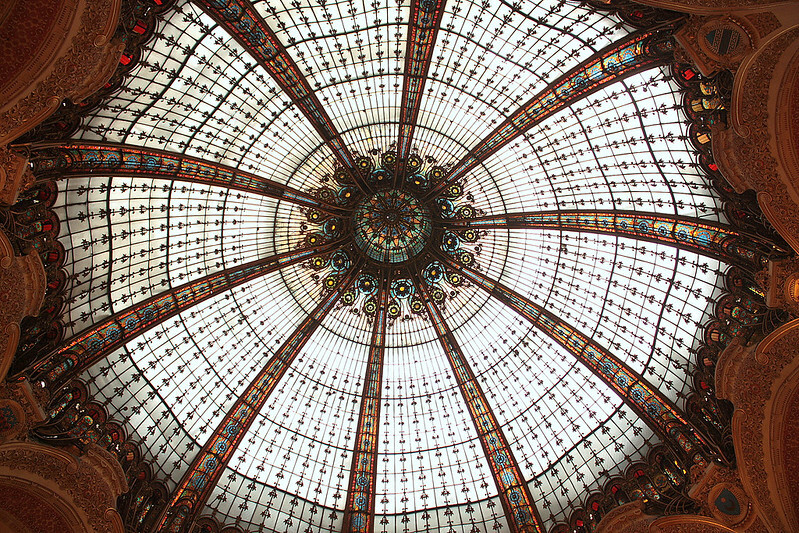 It is now in Rungis, in the Southern suburbs of Paris, and it is said to be the largest food market in the world. 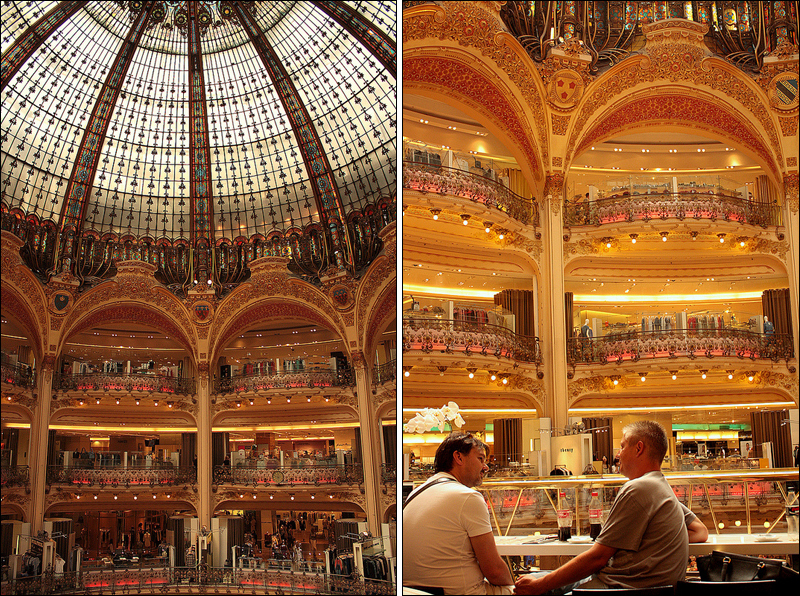 Had lunch at L’Entrecote des Halles and took the metro to Paris’s iconic department store, Galeries Lafayette. Granted, the place mostly caters to tourists than locals and I’m quite sure most of the shoppers are just visiting. At some point, Chinese tourists asked if we could buy bags for them, using our passports. I’ve heard of this before because some friends already had the same experience. There is a limit of bag purchases for tourists of certain nationalities because of the widespread counterfeiting of the bags. 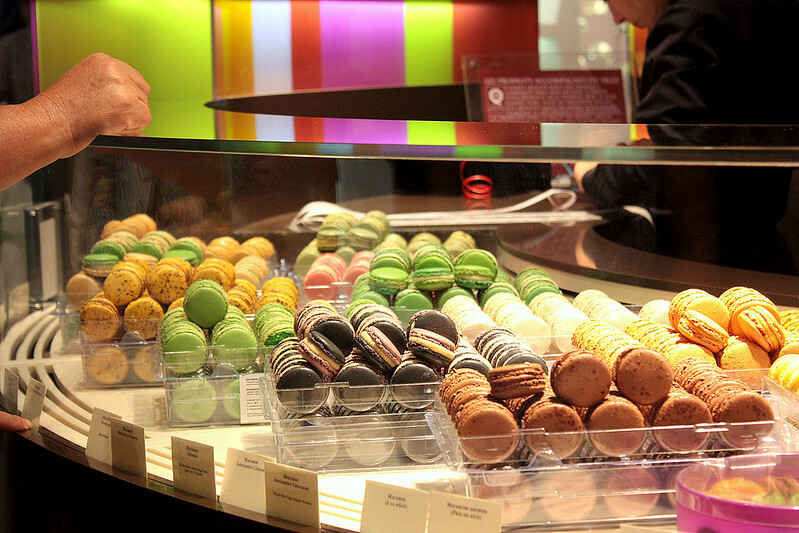 The Pierre Hermé store, apparently they have the best macarons, even better than Ladurée. I had quite a list of food shops / pâtisseries I wanted to try and I regret not even going to most of them. (Jean-Paul Hevin, Ladurée, Dalloyau, Poilane, Eric Kayser..) Moodiness get the best of me.